How to watch Route 35: Season 1 (2016) on Netflix Singapore! Sorry, Route 35: Season 1 is not available on Singaporean Netflix, but you can unlock it right now in Singapore and start watching! 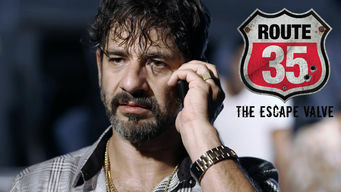 With a few simple steps you can change your Netflix region to a country like Argentina and start watching Argentine Netflix, which includes Route 35: Season 1. We'll keep checking Netflix Singapore for Route 35: Season 1, and this page will be updated with any changes. Route 35: Season 1 is not available in Singapore BUT it can be unlocked and viewed! A federal agent battles dangerous drug cartels with the help of informants, who are driven to risk their lives for revenge, greed, fear or love. They may do it for fear or even love. Whatever the reason, to the criminals they're bringing down, they're all snitches. Season 1 of Route 35 has 42 episodes. Because different Netflix countries have different availability for episodes, you'll need to check the episode listing below to see which are available in Singapore. Sofía and husband Rogelio, a Mexican drug cartel worker, disagree over teen son Federico's future. The Drug Enforcement Agency plans a raid. Mercurio, a Mexican soccer player, is pressured to deliver evidence against a counterfeiter. Conchita gathers intel on Henry from a new friend. Salomón, a Miami banker, tries to juggle his duties as an employee, father and informant. Mercurio is tasked with infiltrating a Miami soccer team. Domingo sets a plan in motion to get rid of Rogelio. To appease the DEA, Conchita searches desperately for another source of narcotics intel. Mercurio is finally invited to join the soccer team. Conchita's grandsons discover her stash. Rafael learns who the rat is and gives Domingo an order. Domingo's betrayal brings tragedy to his family. Conchita seizes an opportunity to partner with her marijuana dealer. Domingo is arrested by the DEA. Mercurio and Julia encounter a complication during their escape. Domingo's extradition to the U.S. is interrupted. Wilkins asks his wife for a favor. When Conchita's delivery van is stolen, she and Manuel suddenly find themselves in debt to a drug boss. Rogelio places a bounty on Domingo's head. Mercurio agrees to be a spy again, under one condition. Conchita and Manuel try to negotiate with their drug boss. Domingo makes a difficult choice. Salomón tries to persuade Rebeca to help him catch Domingo. Conchita's grandsons report her as missing. Domingo forces a confession and gets revenge. Sofía and Federico are held captive to draw out Rogelio. Salomón surveils Rebeca to find Domingo. Conchita refuses to help the DEA any further. Wilkins tells Salomón he must convince Rebeca to help him catch Domingo if he wants any part of the reward. Federico becomes suspicious of his mother. Rebeca and Salomón try to gain Gavilán's trust in order to gather evidence for the DEA. Mercurio recovers the camera he planted in Calixto's car. Mercurio gains entrance into Taborda's counterfeiting ring. Gavilán introduces Salomón to Domingo as a potential partner for trafficking cocaine. Conchita must make a long-distance delivery. Calixto trains Mercurio in passing off counterfeit dollars. Federico follows in his father's footsteps. Taborda holds Julia as collateral to ensure Mercurio pays his debt. Rebeca secretly plants a GPS on Gavilán so the DEA can follow him to Domingo. Gavilán seeks refuge at Rebeca's house. Conchita helps the DEA make a raid in New York. Rogelio celebrates Domingo's extradition to Miami. Domingo's imprisoned cousins plot their revenge. Mercurio begins to record his conversations with Taborda. Wilkins hunts down the missing 200 kilos. Mercurio convinces cashier Magnolia to work for him. Sofía offers to help Wilkins catch Rogelio. Ximena overhears Salomón on the phone with Rebeca. While trying to lure Rogelio into a DEA ambush, Sofía is kidnapped. Domingo is granted a visit with his father. Magnolia is forced to name names. A raid on Rogelio's warehouse captures two of Sofía's family members. Felipe arranges a meeting with Rafael. Taborda gives Mercurio a promotion. Sofía begs her brother to talk to Wilkins. Federico vows to find and kill the rat behind the raid. Marina asks Salomón to help her with a case. Conchita gets an undercover assignment in a new home. Gavilán overhears Rebeca talking on the phone to Salomón. Domingo gives Wilkins new intel. Mercurio introduces Salomón to Taborda. Sofía starts an undercover job in order to reduce her brother's sentence. Rogelio gives his son instructions. While picking up the shipment, Federico discovers he's lacking a critical tool. Mercurio and Salomón lure Taborda into a trap. Rebeca gets a new job. Salomón struggles with a difficult new assignment. Conchita earns Rick's admiration. Sofía is sexually harassed by her boss. Federico is punished. After finally breaking through with Alejandro, Salomón introduces him to Rebeca. Domingo takes care of unfinished business. Sofía gets a surprise. Salomón must think fast to distract Alejandro while his home is being bugged. Conchita embarrasses herself to avoid blowing her cover with Rick. Camilo tells Mercurio how to fashion a makeshift weapon. Gavilán arrives in Miami, where he gets orders from Domingo and tells him who the snitch was. While fishing for info from Alejandro's favorite call girl, Salomón struggles with temptation. Conchita discovers the hiding place on Rick's car. Conchita gets a reward. Salomón learns where Alejandro conducts his real business. Domingo executes his escape plan. Sofía helps an unusual customer. At Ximena's insistence, Salomón sees a therapist. Federico dips into his mother's savings for seed money. Mercurio proposes a deal to his cellmate. Sofía gets an unexpected invitation from Marjory. To recoup his loss, Federico tries a risky method of transport. Salomón starts having panic attacks. Rogelio and Domingo must decide whether to plead guilty or innocent. Sofía is caught snooping in Demetrio's office. Gavilán follows Wilkins to Rebeca. Domingo enters a plea and faces the judge's response. Mercurio strikes a deal with Estefan. Federico buys a gun to collect the money he's owed. Wilkins brings in Marjory to speed up Demetrio's capture. Gavilán confronts Rebeca at home. Sofía finds a way for Domingo to escape prison legally. Domingo testifies against Rogelio. Mercurio must choose between saving himself or protecting Marina. Sofía discovers how her son is earning money. As Salomón's life falls apart, his ugly side emerges. Conchita is forced to confess to her grandson. Domingo meets with Wilkins to make an offer. Sofía testifies against her husband and tells him she wants a divorce. He gets revenge by hurting her in the most emotionally painful way he can. Domingo is released, but soon realizes he'll have to overcome several challenges to earn Landino's trust. Rogelio enters a plea to his new charge. Mercurio finds himself in a Catch-22. Wilson begs Ortiz to help him keep Conchita out of jail. Federico is forced to face the truth about his father. Gavilán has doubts about Rebeca's trustworthiness. Federico confronts his father. Marina becomes suspicious of Ortiz. Conchita goes after a big fish.